Young people from New Bradwell who attend the mathission centre participated in a graffiti workshop during August, in which the rear entrance to the building was painted. 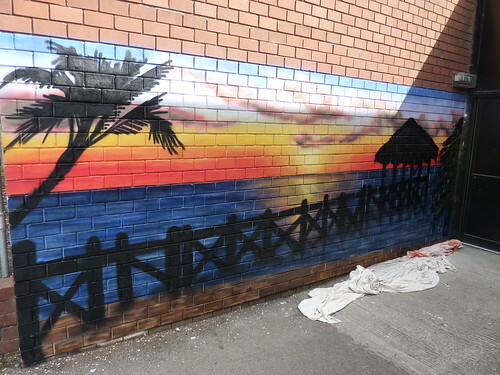 This entry was posted in Workshops and tagged graffiti workshop, new bradwell, painting of sunrise, sunrise, youth club. Bookmark the permalink.